SUPER-CUT offers a full range of grinding wheels and drills for appliance glass processing operations. Our Pencil Edging wheels and drills provide consistent cutting and grinding of tempered and ceramic glass used as cooktops, shelves, countertops, doors and control panels in household appliances. In decorative glass applications, SUPER-CUT’s precision engineered grinding products deliver seamed, ground, beveled, grooved and polished edges with an outstanding finish for a superior visual aesthetic. Our specialty chamfer drills are engineered to deliver high quality and high drill speed in appliance glass processing. Along with our grinding wheels and drills, SUPER-CUT supplies glass grinding coolants that extend tooling life while enhancing edge quality, including specialty no-spot and boron-free coolants. SUPER-CUT will partner with you to find the best solution for your appliance glass processing requirements. TIP: For ceramic plates, try a 134° angle Black Diamond cutting wheel in the 3.0 mm size to enhance performance. 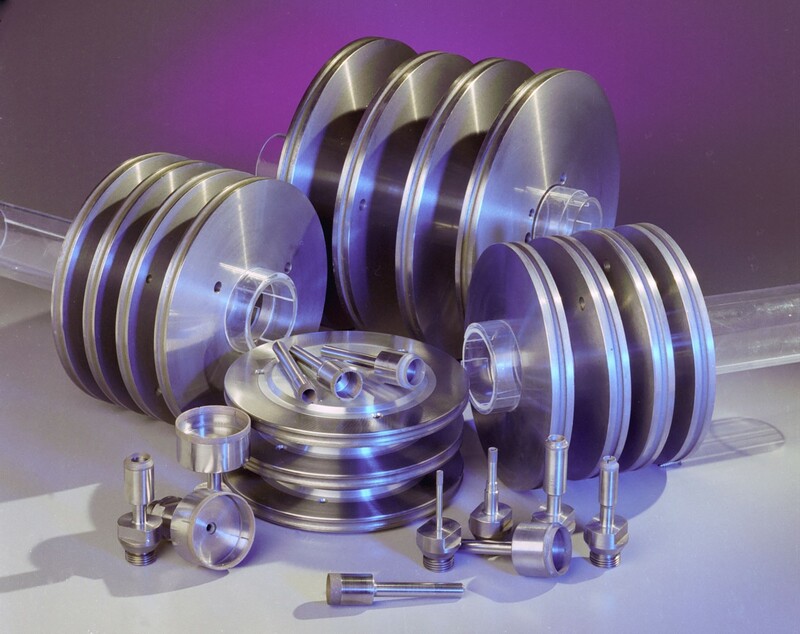 For certain glass operations where a PCD cutting wheel is not suitable for short-run parts or a particular glass thickness, SUPER-CUT offers dependable, low-cost carbide cutting wheels. SUPER-CUT carbide cutting wheels are available pre-assembled or as separate components. Our pre-assembled wheel, axle and insert save valuable line operator assembly time, increasing your productivity. SUPER-CUT diamond grinding wheels provide the highest edge quality, fastest line speed and longest life while retaining the profile shape for greater yields. High speed grinding available up to 35 M/min. SUPER-CUT can design a custom OD exactly for your equipment and grinding needs with wheel OD as small as 25 mm and no restrictions on the OD of the grinding wheel. SUPER-CUT also offers special diamond/bond specifications and profiles for a seamed edge. Learn more about our Diamond Seaming Belts. SUPER-CUT will restore your diamond wheel to its original condition at one of our 14 global redress centers using our NC Electrode Discharge Machining (EDM) process. We also offer special Quick Start wheel profiling for high-speed grinding with immediate startup and no ramp up, with excellent glass edge quality.